Hi there, good morning! Today I have a special post to share with you. Have you seen the October Amazing Papergrace kit yet??? If not, you really should check it out as it's another amazing kit. 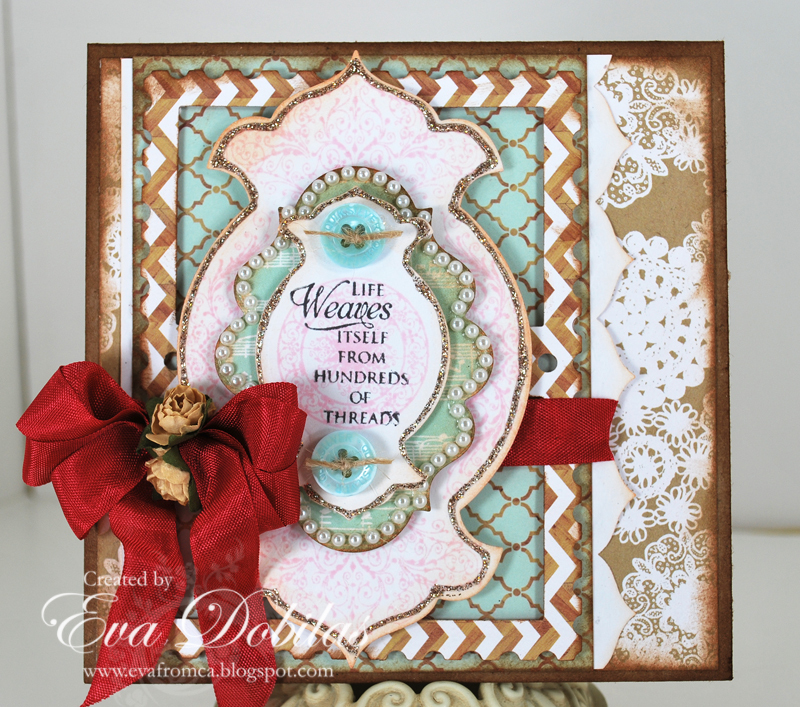 So my card today has been created with the yummy stamps and dies in the kit. For my papers I chose to work with Echo Park's Everyday Eclectic 6x6 paper pad, which I love. 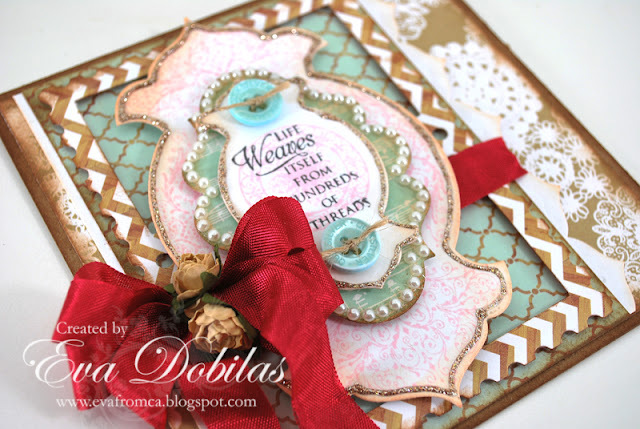 I also used the die from the September Amazing Papergrace kit. There are quite a bit of layers on this card, and that's just the way I like it. I also wanted to add a little punch to the muted colors of this card, and I added the pretty deep rose color seam binding ribbon, which I got from the Stamp Simply Ribbon store, your one stop shop for all your ribbon needs. On top of using the dies from the kits, I also used one more Spellbinders dies, which I layered my sentiment label onto, Labels Twenty, and added the coordinating pearls from Want2Scrap. And finally I also used a pretty edge called Spellbinders Classic Edges Two. Here is the stamp set yo get in the kit. It has so many possibilities to create pretty things with. And here is the gorgeous and super fun Spellbinders dies to go with the stamps. Well, that is it. Make sure you check out what my very talented design team mates created using this beautiful kit. Here is the list of ladies participating today.